The performance profile of this reader is simply astounding. The only caveat is you will need speedy UDMA CF & SD UHS-I cards to really show what it can do. 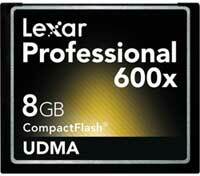 If all you own are typical SD cards, then the Lexar's abilities can be considered overkill. For a card reader to be truly successful, it needs to be extremely compact and ultra portable. This is one area the Lexar USB 3.0 Card Reader line has always excelled at. With its compact (yet admittedly thick) dimensions of 2.75″ x 2.25″ x 0.75″ (and weighing only 70g), the improved version is also easily transportable. You may not be able to use it to transfer pictures from your Sony’s proprietary Memory Stick (MS) card, but the majority of serious cameras use chiefly CF with a smattering of lower end relying on SD. By covering these two, Lexar does cover most of the intended niche without necessitating a larger form factor. To be precise, this card reader supports all Class 1 and 2 CF Cards (including the ultra fast UDMA CF cards) as well as all SD formats (including SDHC, SDXC and even the latest SD UHS-I cards). That is all it does. If you require anything besides these two broad standards (e.g. Memory Stick), this is not the card reader you want. The second criterion a card reader must excel at is performance. It must be able to transfer your digital files as quickly as possible from the card to your system. If it is not faster than directly attaching the camera to the computer the need for such an after-market accessory is quickly diminished. 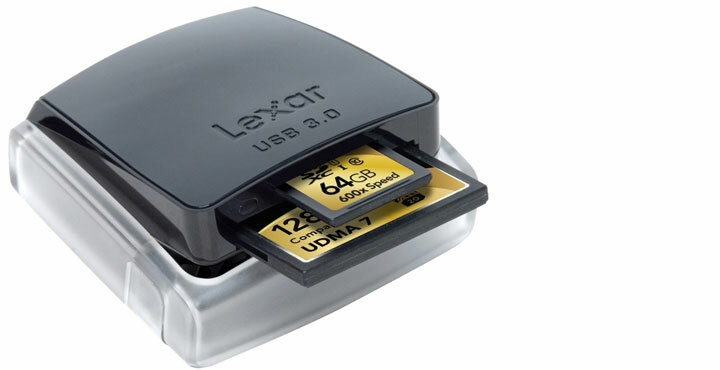 In the past, Lexar compact card readers were usually slightly faster than directly attaching the camera, but where both the reader and camera relied on the same USB 2.0 standard, this was not a large enough difference for all consumers to justify the added expense. By making this device a USB 3.0 device, your CF/SD card will be the slowest link. 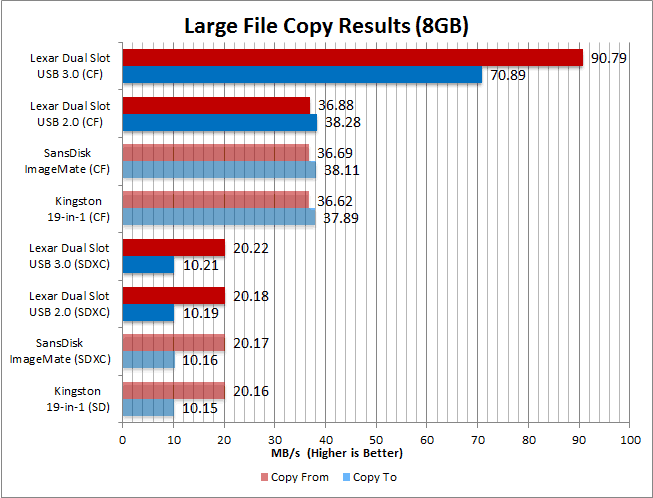 Unfortunately, the difference is certainly going to be larger than a few MB/s. Where SD (even SD UHS-I which this card reader supports) maxes out at under 50MB/s and CF (even UDMA CF cards which this reader supports) at about 90MB/s, the difference is not as large as you would assume from an “interface speed up to 500MB/s”. This is still significantly faster than the under 40MB/s which USB 2.0 is capable of providing. You can also consider that as faster cards come out, this reader will be able to easily handle them and can be easily considered very future proof. Another thing to look at when shopping for a USB card reader is slot protection. The delicate pins of a Compact Flash slot are very susceptible to damage (especially bent pins) which are extremely annoying to fix. SD slots are more robust but a smudge or smear of dirt in the wrong place can cause an electrical short which can kill a SD card. Speaking as one who has had both scenarios happen, keeping the card reader’s slots clean and debris free is a large selling feature of any card reader. Luckily, Lexar once again has always excelled at this and the new USB 3.0 version is no different. The simple expedient Lexar has taken of making the slots fold down and inside the exterior of the card reader case simply works. By making this a pop-up design, it is both simple to use (simply push in on the buttons on either side to make it pop up) and yet provides ample slot protection. There is no need to mess with rubber caps or worry about bent pins, as this design takes care of it all. The only caveat to this design is that over time, the spring mechanism will become slower and slower to push the ports up and out of the body. This is easily fixed by simply re-tensioning the metal spring located inside the bottom of the plastic case. Overall, the Lexar reader easily meets all three requirements I consider before making a purchase. While I have purchased designs in the past which only met two of these three areas, it is nice to see a product which can finally meet and exceed all three areas I look for in a card reader. This new model is clearly superior to any previous designs and this includes other companies designs. For performance testing, a 16GB Patriot LX Series SDHC Class 10 card and an 8GB Lexar Professional 600x CompactFlash Card were used. For comparative purposes, a USB 2.0 Sandisk ImageMate card reader and a USB 2.0 Kingston 19 in 1 card reader were also used. 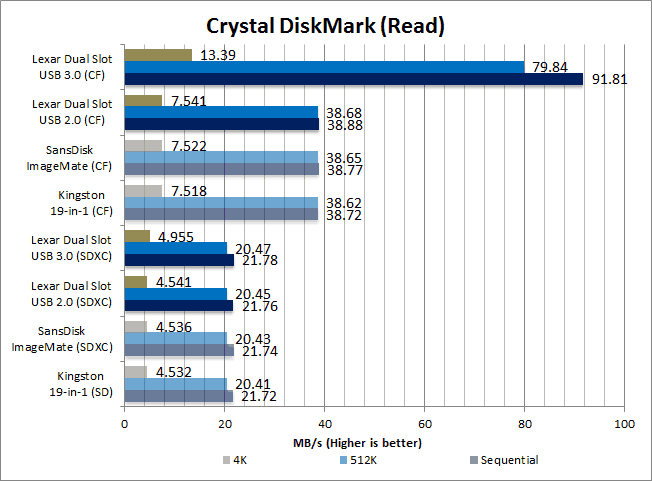 As you can see, when it comes to SD cards, the difference between a very good USB 2.0 reader and this USB 3.0 reader is negligible. A difference would only appear if you were to use the new and ultra expensive SD UHS-I class cards. Even here, the difference would have only been 5 or 6MB/s. Turning our attention to Compact Flash, the difference between a USB 2.0 and USB 3.0 card reader is not only noticeable, it is night and day noticeable. The 600x Lexar CF card may indeed be one of the fastest cards on the market right now, but if you are an enthusiast who is looking at saving time on transfer speeds, you more than likely own a similarly performing card. Even slow and old CF cards will transfer their data more quickly when using this device. 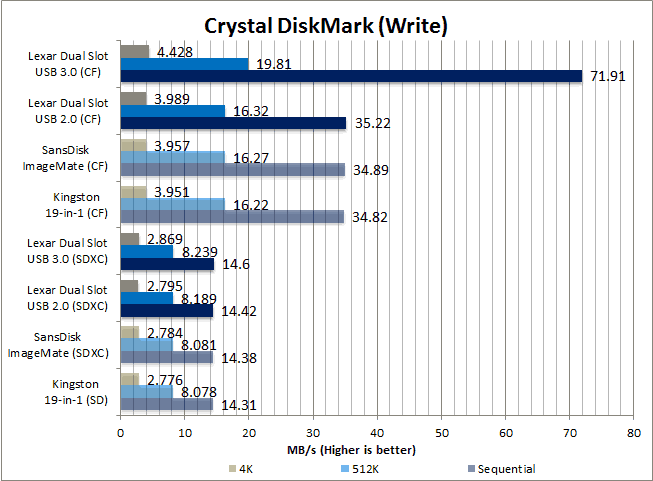 When I saw the Crystal DiskMark numbers, I knew this card reader was going to make things fast, but this is downright impressive! In fact, these speeds are so good that your hard drive inside your computer had better be a good and fast one; otherwise, it is going to be the bottleneck. This is very impressive indeed and hopefully as even faster CF and SD cards come out, this device will be able to show even more indubitably how much better it is. Any way you look at it, the Lexar Professional USB 3.0 Dual-Slot Reader is an impressive upgrade for professional and camera enthusiasts. Lexar really has taken the best of previous designs (great protection, compact size) and coupled it with the latest technology: USB 3.0. The end result truly is greater than the sum of its parts. 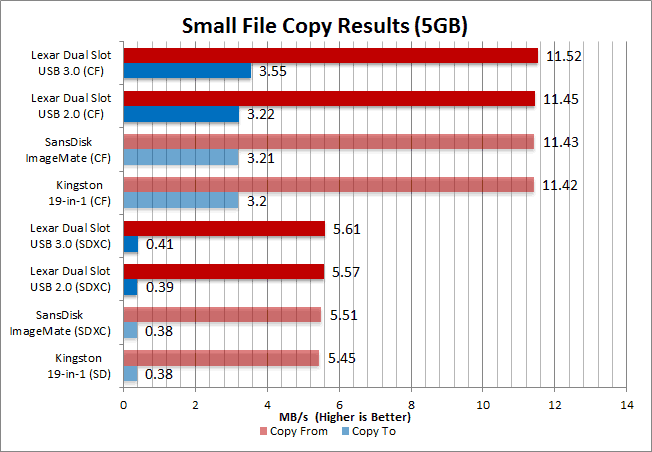 While it is “merely” two and half times faster at transferring pictures from a high performance CF card to your computer, this is a significant time savings for any photography enthusiast. Sadly, the same cannot be said of SD card users. In fact, while the Lexar card reader is going to offer you more head room for the newer (and faster) SD UHS-I cards, the difference is not going to be as great as it is with CF cards. I personally cannot imagine purchasing a USB 2.0 card reader when a USB 3.0 is available. By the same token, it will be hard for this consumer niche to justify the upgrade price. This is especially true if this monetary outlay is equivalent to 20% (or more) of what they spent for their camera. In the end, I truly think this reader is a great device. It’s worthy of its reasonable asking price, but you may want to wait on purchasing one until you actually own a CF (or SD) card which can do it justice.